David A. Young, Jr., was born on 26 May 1915, in Wilkinsburg, Pennsylvania. As the son of a travelling salesman, he attended grade school and two years of high school in western Pennsylvania, then completed high school in Louisville, Kentucky. In 1939, he earned his Bachelor of Arts degree in natural science at the University of Louisville. He taught general science in the Louisville Public School System, from 1939 to 1941, and worked towards his Master of Science degree in entomology at Cornell University in the summers of those years and the autumn of 1941, receiving the degree in 1942. In January 1942, he entered the U.S. Armed Forces as a private and was honorably discharged as a first lieutenant in October 1945. He took an instructorship in the Department of Biology at the University of Louisville until 1948. At that time he entered the University of Kansas where he earned his doctorate in entomology in 1950, under the direction of Dr. R. H. Beamer. From 1950 to late 1957, Young served as an insect taxonomist in the United States National Museum, Washington, D.C., employed by the Insect Identification and Foreign Parasite Introduction Section of the United States Department of Agriculture. In 1957, Young took a position as associate professor at North Carolina State University, where he continued his systematic research on leafhoppers, administered the NCSU Insect Collection, and taught Insect Diversity, Insect Morphology, Systematic Entomology, and Principles of Taxonomy. Through a three-month trip to Peru (1960) and other collecting, he added thousands of specimens to the NCSU Insect Collection. Promoted to professor in 1961, he studied in Europe for one year (1962-1963), examining type specimens in entomological collections of Germany, Austria, Czechoslovakia, Hungary, Poland, Denmark, Sweden, France, and England. After his official retirement from NCSU (1980), Young continued working as a professor emeritus until he completed his study of the subfamily Cicadellinae (1986). His graduate students included H.D. Blocker, D.H. Costes, J.F. Cornell, Jr., R.B. Davis, L.L. Deitz, W.P. Dubose, III, W.D. Duckworth, J.E. Flynn, J.F. Greene, Jr., B.G. Hill, W.J. Knight, H.O. Langlitz, J.H. Lopez Parodi, S.H. Mahmood, F.W. Mead, D.L. Stephan, P.S. Southern, and D.M. Weisman. In 1976, Young received the North Carolina Entomological Society's Award for Outstanding Contribution to Entomology. 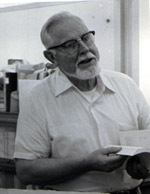 His research was also recognized by the Smithsonian Institution in a 47-page circular (1976), "The United States National Entomological Collections," distributed to registrants of the XV International Congress of Entomology, Washington, D.C., and by the North Carolina Agricultural Research Service (1986) in its newsletter Research Perspectives 5(3):16. A fellow of the Washington Academy of Science, he held memberships in the Entomological Society of America, the Entomological Society of Washington, the North Carolina Entomological Society, the Society of Systematic Zoology, and Sigma Xi. For a number of years he was also a member of the Sociedad Entomológica Agrícola del Perú and of the Sociedade Entomológica do Brasil. Young's publications on the world fauna of leafhoppers include descriptions of 807 new species, 7 new subspecies, 207 new genera, 6 new subgenera, and a new tribe. With a total of 2,061 pages, his "Taxonomic Study of the Cicadellinae (Homoptera: Cicadellidae)" (1968a, 1977a, 1986a) treated 292 genera from all regions of the world. J.P. Kramer (1978, Proceedings of the Entomological Society of Washington 80:456) declared Part 2 of its three parts "the most outstanding and most comprehensive single volume ever produced on a large segment of the Cicadellidae." Also notable are Young's publications on the Western Hemisphere Typhlocybinae (1952b), the tribe Alebrini (1957c), and the genera Flexamia (with B.P. Beirne, 1958a), Draeculacephala (with R.H. Davidson, 1959a), and Circulifer (with N.W. Frazier, 1954a). Young's contributions also lie hidden in the works of others. His "Introductions" to numerous parts of Z.P. Metcalf's "General Catalogue of the Homoptera" provide evidence of the role Young played, along with Virginia Wade, in the publication of this series following Dr. Metcalf's death in January 1956. Likewise, Young added much to the quality of his students's theses, yet he claimed no coauthorship when these works were published. Young died on 8 June 1991, apparently from an aneurism. The D.A. Young Memorial Symposium "Characters for the Higher Classification of Cicadellidae" was held in his honor at the 8th International Auchenorrhyncha Congress in Delphi, Greece, August 1993. The magnitude and excellence of D.A. Young's accomplishments place him among the greatest homopterists in the history of entomology. Annotated Bibliography of David A. Young, Jr. Except as noted, the letter suffixes following years of publication are consistent with those of Metcalf's bibliographies of the Cercopoidea (1960a), Cicadoidea (1962g), and Cicadelloidea (1964a) (Homoptera: Auchenorrhyncha) and Oman, Knight, & Nielson's (1990a) "Leafhoppers (Cicadellidae): a Bibliography, Generic Check-list and Index to the World Literature 1956-1985." The specific dates and months in brackets are from the actual publications or separates unless another source is given. Metcalf, Z.P. [deceased], and D.A.Young, [Jr.]. 1960a. Introduction. pp.iii-vi. In Metcalf, Z.P. 1960b. Fascicle VII, Cercopoidea. Part 1. Machaerotidae. General Catalogue of the Homoptera (North Carolina State College [now University], Raleigh) 7(1):[i]-vi, 1-49. Metcalf, Z.P. [deceased], and D.A. Young, [Jr.]. 1961a. Introduction. pp. iii-vii. In Metcalf, Z.P. 1961a. Fascicle VII, Cercopoidea. Part 2. Cercopidae. General Catalogue of the Homoptera (North Carolina State College [now University], Raleigh) 7(2):[i]-vii, 1-607. Metcalf, Z.P. [deceased], and D.A. Young, [Jr.]. 1962a. Introduction. pp. iii-vii. In Metcalf, Z.P. 1962e. Fascicle VII, Cercopoidea. Part 3. Aphrophoridae. General Catalogue of the Homoptera (North Carolina State College [now University], Raleigh) 7(3):[i]-vii, 1-600. Metcalf, Z.P. [deceased], and D.A.Young, [Jr.]. 1962b. Introduction. pp. iii-vi. In Metcalf, Z.P. 1962f. Fascicle VII, Cercopoidea. Part 4. Clastopteridae. General Catalogue of the Homoptera (North Carolina State College [now University], Raleigh) 7(4):[i]-vi, 1-59. Metcalf, Z.P. [deceased], and D.A. Young, [Jr.]. 1963a. Introduction. pp. iii-vii. In Metcalf, Z.P. 1963e,f. Fascicle VIII, Cicadoidea. Part 1. Cicadidae (In two sections). General Catalogue of the Homoptera (North Carolina State College [now University], Raleigh) 8: (Section 1, Tibiceninae) [i]-vii, 1-; (Section 2, Gaeaninae and Cicadinae) [i], 587-919. Metcalf, Z.P. [deceased], and D.A. Young, [Jr.]. 1963b. Introduction. pp. iii-vi. In Metcalf, Z.P. 1963g. Fascicle VIII, Cicadoidea. Part 2. Tibicinidae. General Catalogue of the Homoptera (North Carolina State College [now University], Raleigh) 8(2):[i]-vi, 1-492. Young, D.A., Jr. 1942. The Leafhoppers of Kentucky (Homoptera Cicadellidae). Unpublished M.S. Thesis, Cornell University, Ithaca, New York. [iii] + 493 pp. + 16 page index + 7 plates. Young, D.A., [Jr.]. 1960a. Introduction. pp. iii-iv. In Metcalf, Z.P. 1960a. A Bibliography of the Cercopoidea (Homoptera: Auchenorhyncha). North Carolina State College [now University], Raleigh. iv + 262 pp. Young, D.A., [Jr.]. 1962e. Introduction. pp. iii-iv. In Metcalf, Z.P. 1962g. A Bibliography of the Cicadoidea (Homoptera: Auchenorhyncha). North Carolina State College [now University], Raleigh. iv + 229 pp. Young, D.A., Jr. 1967a. Homoptera. pp. 469-476. In McGraw-Hill Encyclopedia of Science and Technology. (revised edit.). McGraw-Hill, [New York]. Young, D.A., Jr., and P.J. Christian. 1952a. [descriptions and illustrations of Henribautia, Ossiannilssonia, Ribautiana, and Typhlocyba] pp. 96-103; 204-209. In Young 1952b (see above). Young, D.A., [Jr.], and P. Lauterer. 1966a. Types of Cicadellinae (Homoptera, Cicadellidae) in the Moravian Museum. asopis Moravského Musea v Brne [= Acta Musei Moraviae, Brno] 51:261-270. Young, D.A., [Jr.], and Á. Soós. 1964a. Types of Cicadellinae (Homoptera, Cicadellidae) in the Hungarian Natural History Museum. Annales Historico-Naturales Musei Nationalis Hungarici 56:-467.